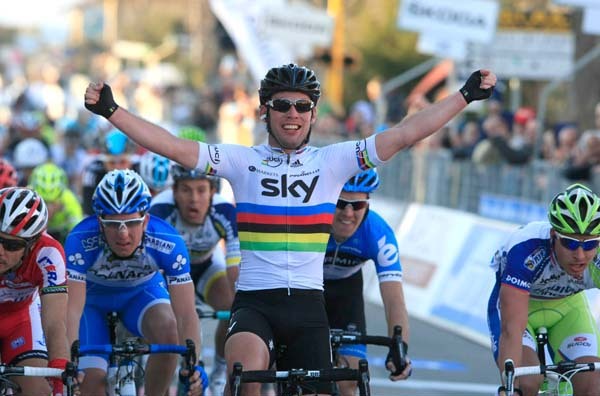 Mark Cavendish did without the usual sprint lead-out to win on Thursday in Indicatore, Italy. 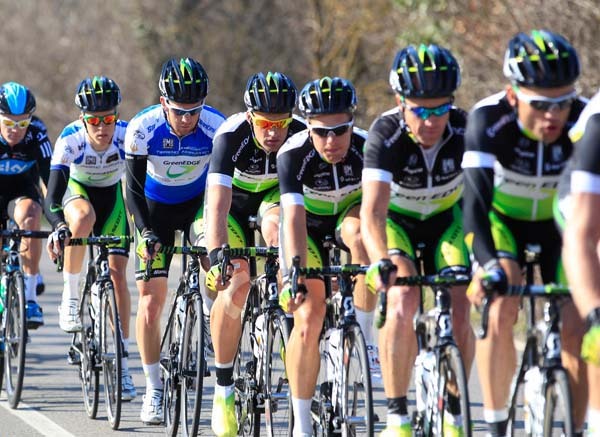 The second stage of Tirreno-Adriatico ended with a small group, top sprinters fighting towards the line. 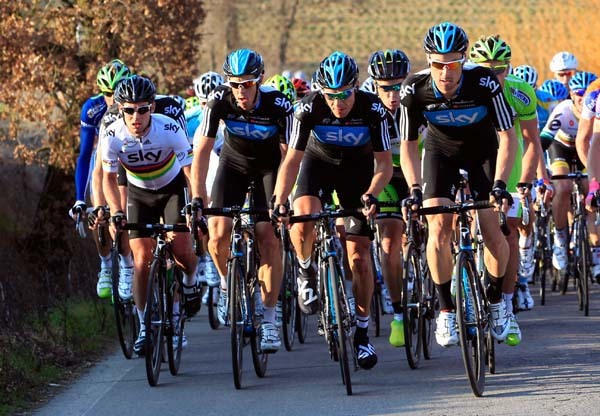 The team Sky cyclist edged up the right ahead of Oscar Freire and Tyler Farrar, and won. Farrar used Garmin team-mate, Robbie Hunter to lead through the final metres, Cavendish had Edvald Boasson Hagen and kept an eye on Freire (Katusha). Farrar faded, Cavendish surged and Freire snuck around for second. 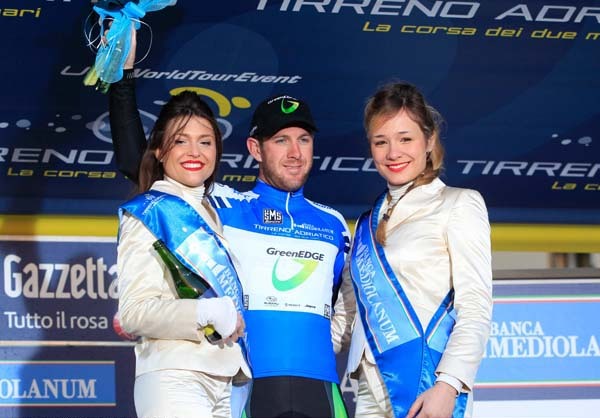 Cavendish has won 20 Tour de France stages and the World Championships, but surprisingly only one other stage Tirreno-Adriatico. It came in 2009, just four days before he won Milan-San Remo. He is using this race once again to prepare for San Remo, this time though, he wants to win as he did today, in the rainbow World Champion’s jersey. The win looked in doubt. After GreenEdge pulled to catch the two escapees, at 30 kilometres remaining in the 230km stage, the group took many forms. First GreenEdge was at the front for leader Matt Goss, then BMC Racing, Liquigas, Rabobank… Two different escapes went with two riders each. Stannard eased off the pace with four kilometres remaining and turned it over to Boasson Hagen and Cavendish. By then, though, the group had splintered. Greg Van Avermaet (BMC Racing) and Paolo Tiralongo (Astana) attacked but then drifted back into the pack at two kilometres remaining. They were not left, not right, but in the centre of the road when the group approached them. It led to a crash. Emerging rider, Michael Matthews (Rabobank) is worse off. The Australian is in the hospital, bruised right arm with 11 stitches and a wound on his right shin. He abandoned the race and will return to his home in Belgium to recover. Goss took the lead yesterday after his GreenEdge team won the time trial. He had to fight back to the front after the crash just to protect the blue leader’s jersey. Tomorrow, Tirreno-Adriatico covers 178 kilometres to Terni in Umbria. It is the last chance for Goss, Cavendish, Farrar and the other sprinters. 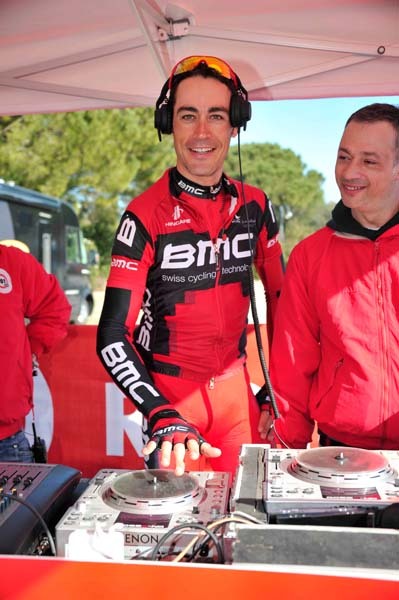 On Saturday, the race climbs and Goss waves goodbye to his leader’s jersey.